LinkedIn: The Content Marketing Strategy Most People Miss. Content marketing is a crucial component in attracting a new audience. Whether it’s with an eBook (download our eBook on eBooks here), a whitepaper, a webinar, or a compilation of case studies, businesses are competing to educate and inform their prospects. Content needs to be consumable and digestible. More so, it needs to be presented to the right people – or they won’t be interested in consuming it anyways. To that end, businesses can leverage several platforms. So, what’s the one platform rarely taken advantage of? The answer is LinkedIn. LinkedIn – the number one social networking site for professionals. LinkedIn – the top place jobseekers have to be active if they hope to be discovered by recruiters. And now, LinkedIn – a go-to source for information and content. What makes LinkedIn such an effective tool for content marketing and lead generation? While we’ve been talking about how businesses go about content marketing, when it comes to LinkedIn we’ll be focusing on using an individual’s personal profile rather than LinkedIn’s corporate page features; people connect with, engage with, and buy from people. For starters, the traditional networking platform excels at finding your ideal target demographic and allowing you to build a relationship with them. With advanced search filters and the ability to personalize your messaging, you can engage in conversation with the most qualified prospects. Once you’ve built up a large base of screened connections who have demonstrated an interest in hearing from you, the next step is to prove your knowledge and expertise. You can go about this in so many ways, so let’s get into it. The easiest approach is to fully leverage the real estate on your profile. Your Summary doesn’t have to be a biography – why not write it like a brochure to that outlines what your company’s mission and offering are? Don’t forget to include some calls-to-action in the text so your readers have a way to engage with you once they’re done. While links within your Summary are not clickable on a desktop device, they are clickable on mobile devices. Now let’s go from text to media. Content consumers are naturally drawn to images and videos more than text. Your LinkedIn profile allows you to satisfy that attraction by uploading and linking files, videos, PPTs, web pages, etc. This is a wonderful way of putting your case studies and other value adds right in front of your audience and readily available to digest. To go another step further, make sure the items in your media gallery link back to your website as opposed to being a dead end. This will ensure people can continue on to more information if they’d like and they’ll arrive at your strongest selling tool – your website. Beyond your profile, you can get your content out there in a few other facets. First, you can write long-form LinkedIn posts (LinkedIn’s version of a blog). Second, you can join relevant groups and start discussions about your area of expertise. Third, you can directly message your connections and offer them some content for free via a link – just ask for their feedback in return. This will prompt a conversation as well as send the recipient to a destination of your choice – once again, it’s always ideal to drive this traffic to your website. In what ways have you used LinkedIn in the past? We’d like to hear from you and maybe workshop some ideas. 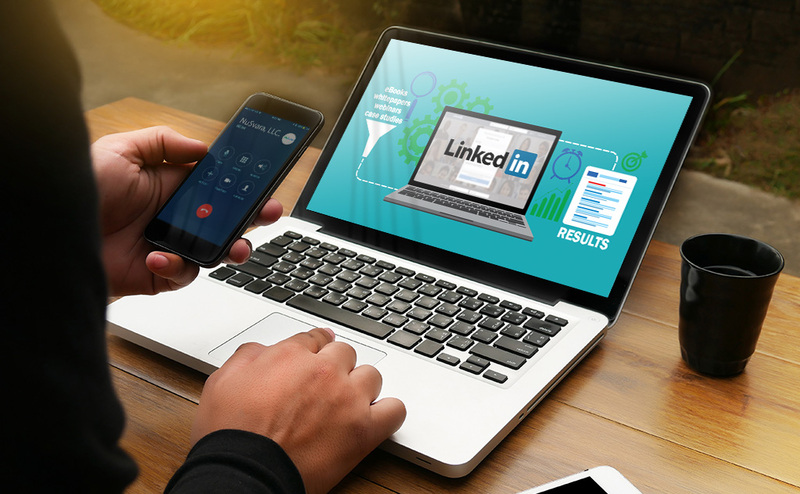 Interested in learning more about ways to leverage your LinkedIn profile and incorporate it into your content marketing strategy? Contact us today and we’ll talk game plan with you. Love the ideas, but you’re overwhelmed by the time commitment? We’ve got a tool for that too.